Athina was introduced to Pilates as a client to rehabilitate a back injury in 2005, while working in the console games online industry. She was amazed by the changes in her body and the benefits in her general well being, and after having her daughter opted for a career change. She qualified as a comprehensive Pilates Instructor with the Pilates Foundation in 2010 and complemented her studies with a BASI Mat course for teachers held by Amit Younger. Athina is attentive to detail and takes every opportunity to develop her own practise. She enjoys teaching and aims to help clients achieve their goals through a safe, meaningful and self rewarding practice. She has a particular interest in the contribution of Pilates in the neuromuscular re-education and use of Pilates in restoring functional and autonomous movement. Amongst others, Athina has worked with clients that suffered strokes and MS sufferers. 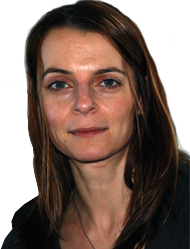 Athina holds a BA in French Litterature and a Master’s Degree in Human Resource Management. Being a teacher and working as a training and development professional early in her life have both contributed to her teaching skills and awareness in understanding and building effective learning relationships with clients.